I often think of the front of the automobile as a portrait, and perhaps the grill as the teeth. The grills on the old trucks that I find in the junkyard have a menacing quality. 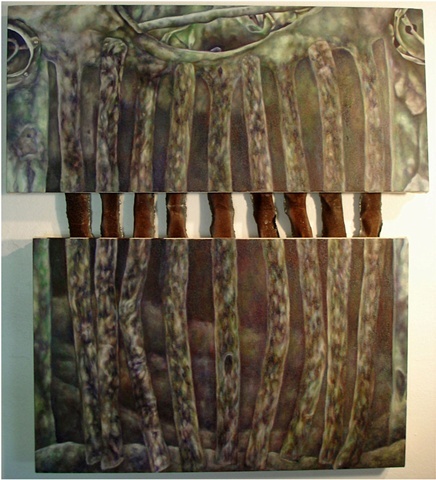 With "Decomposed", I extended the "teeth" by forging iron to connect the two oil painted panels.